Barbasol Shave Cream Only $0.60 at Family Dollar! Family Dollar Sells Barbasol Shave Cream for $1.60 each. 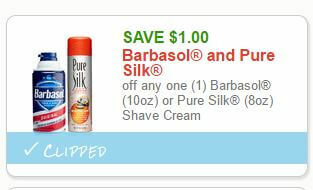 We have a REGIONAL $1/1 Barbasol 10oz or Pure Silk 8oz Shave Cream printable coupon available. After coupon pay just $0.60 each! Great Deal Stock up!